PINEVILLE, La. 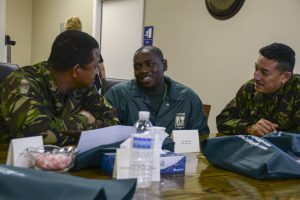 – The Louisiana National Guard welcomed delegates from Belize to tour the state’s Youth Challenge Programs, April 10-12. Belize is working on plans to establish a program for at-risk youth in Belize that is similar to the YCP program in Louisiana. Brig. 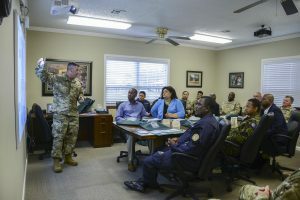 Gen. David Jones, commander of the Belize Defence Force, Felix Enriquez, chief executive officer of the Ministry of Defence, Judith Alpuche, the chief executive officer of the Ministry of Human Development, Social Transformation and Poverty Alleviation of Belize, and the Wilfred Elrington, Minister of Foreign Affairs, all visited the three YCP sites in Louisiana. 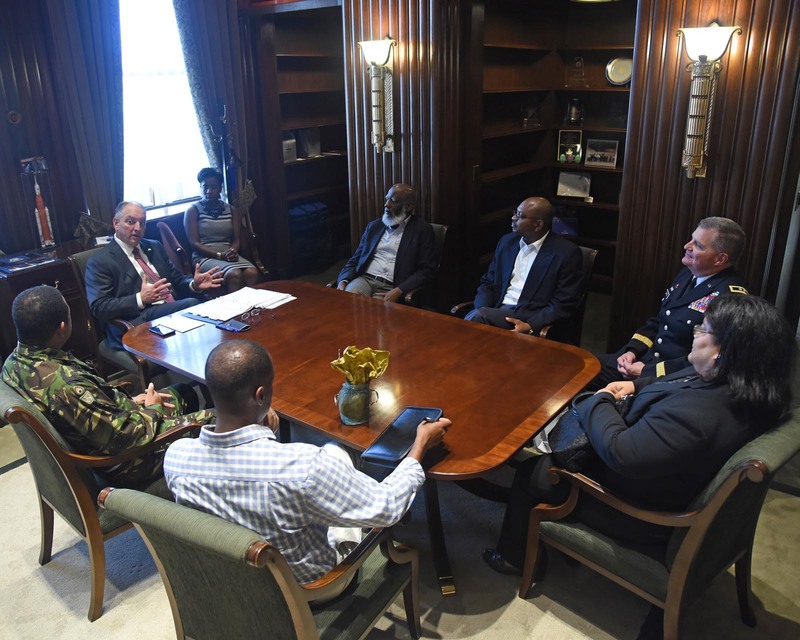 The delegation also met with Louisiana Governor John Bel Edwards. 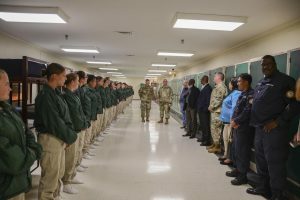 For more than 20 years, the LANG and the BDF have trained and worked together as part of the State Partnership Program, which is administered by the National Guard Bureau. Over the years, the two countries have participated in 257 events. The success of this partnership has now led to include programs such as YCP. The Belize delegates toured each YCP campus in the state to gain an understanding of how the alternative education program works, which offers at-risk youth an opportunity to change their future, outside of a traditional school setting. Enriquez said that the end goal of Belize starting their own program is to raise the confidence and patriotism of the local youth through teaching them to believe in themselves and letting them know there are better futures in the world, regardless of their past and current situations. He also said that investing in their youth will make an impact in Belize. 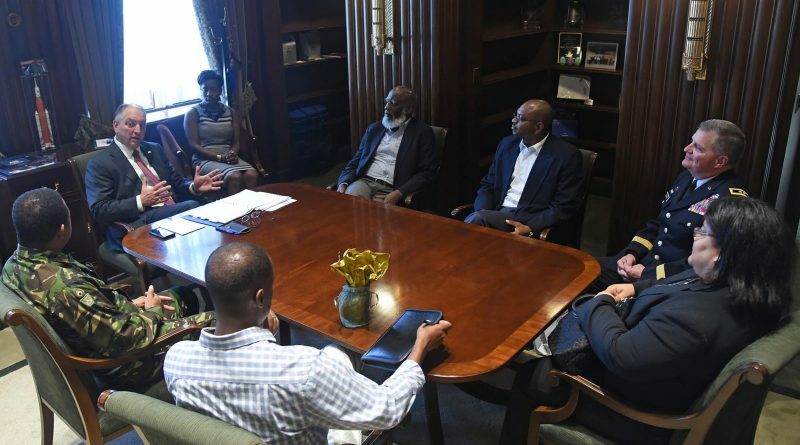 Louisiana and Belize have expanded their relationship beyond traditional SPP exchanges to include combined leadership training opportunities and academic professional development. The LANG and BDF are planning a joint infantry training exercise in 2018 in addition to pledging support for youth development programs in Belize. The purpose of the SPP is to foster mutual interests and establish habitual long-term relationships across all levels of society. The program as a whole encourages the development of economic, political and military ties between the states and partner nations. 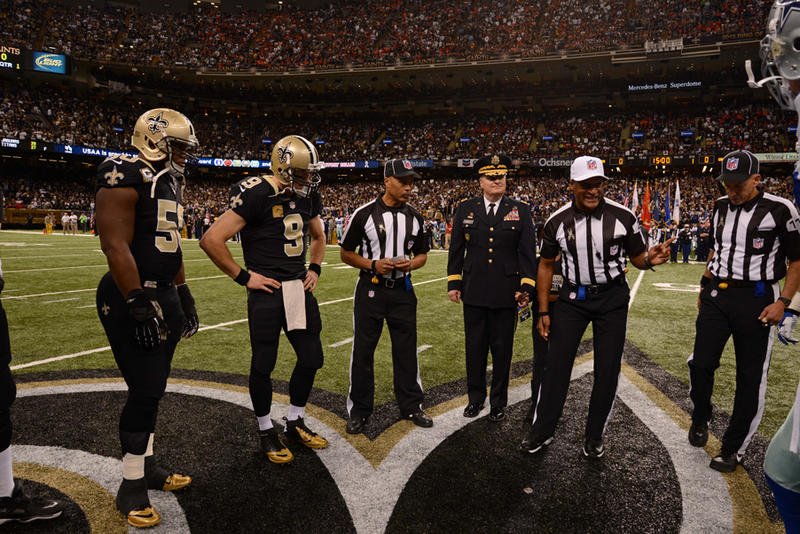 There are 76 countries across the globe partnered with 70 unique security partnerships.